This survey is a complete analysis of all types of employees within the veterinary industry. The comparison results are delivered on a total hourly rate package basis. 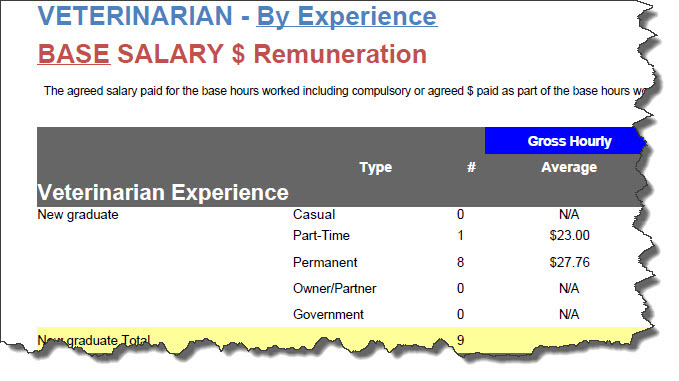 This hourly rate is inclusive of all wages and salaries paid for i.e. 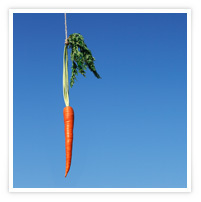 gross income, superannuation and fringe benefits. Each employee will have a direct comparison with identical employment groups. In this day and age we all have access to information that specifies the ‘minimum’ amount that we should be paying our staff. In reality the amounts that we pay our staff are often not the legal minimums but rather a reflection of what we as employers feel that our staff are worth. This is your opportunity to see and compare the ‘actual’ amounts being paid throughout the veterinary industry. The MPV Wages & Salary Survey will provide accurate amounts for each employment group based on a total per hour package. This will include gross pay, superannuation and additional fringe benefits. These include full-time, part-time, casual or locum and will include breakdown of age or qualification based wages for each group when applicable. Note: This survey does not require that a staff member is personally identified. MPV Consulting has included a staff ID option to allow you to internally distinguish between staff members. This could include identification as: numbers, initials, pseudonym names etc. The MPV Wages & Salaries Survey is an electronic only survey. What this means is that the only method of participation is via the electronic sheets that are distributed by email or can be downloaded from the download section of the MPV Consulting website. The reason for this is that in order to both reduce the cost to you and to minimise data entry errors, you can easily download the electronic form, complete & save it and email back. It is a very simple procedure that does not involve any previous computer knowledge other than the ability to create an attachment to an email. 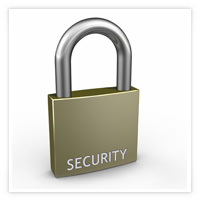 At MPV Consulting we are aware of issues of confidentiality for all the surveys that we do. All practice owners who participate in any survey have an assurance from MPV Consulting that the information that they supply is treated in a totally confidential manner. Note: all postal results will be placed in a sealed envelope addressed personally to the Confidential Contact and will be clearly marked as “Private & Confidential”. 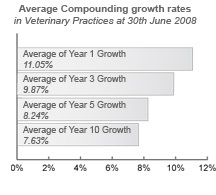 The MPV Growth Survey 2008 revealed that an average veterinary practice has compounding growth over 10 years of 7.63%. The same survey revealed that the highest performance of growth over 10 years could sustain a compounding rate of growth of only 16.1%. The MPV Employee Hourly Rate Survey is our second most popular survey. Our goal is to help YOU to understand what is fair and reasonable pay for your staff! The reality is that the veterinary industry is reasonably small and there is significant communication between members of the profession. Your staff are probably more likely to talk about their pay situations to their colleagues than to you.The biggest advantage is that this survey allows you as an employer to know what the market is paying before you enter into negotiations with staff regarding their wages. "It would help my staff appraisals knowing what other practices pay their staff!" Could be you! Our most popular and valuable survey! "I just don't understand why everyone does not participate in the Fees Survey, Fees are so crucial to practice performance. It is a no brainer!" Click here: To learn more about the MPV Fees Survey! A prized supplement to the Fees Survey! This arguably the GREATEST tool we have produced yet! You choose where in the industry you want to be positioned and MPV will supply you with the EXACT FEES TO CHARGE to achieve your goal. It make fee setting a breeze AND it is a much more professional approach that adds to profitability. If you want to know what represents good profit, know what you as a partner or business owner should be earning, know where you are going right or wrong, then this is the survey for you! You will truly learn where you stand in the big picture along with the tools to identify where changes are required. "In my opinion this is the most important and valuable survey we offer!" Need to find out what your veterinary practice is worth? 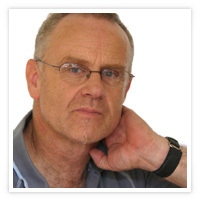 Maybe it is time to perform an MPV Practice Appraisal on your business! Every practice should know what their practice is worth. If it is worth as much as you think then that is a good outcome. If it is not worth as much as you think then it is time to do something about it! How would you know unless you get an independent such as MPV Consulting to calculate the value for you. Price update: the MPV Self-Evaluation Appraisal price is $1750.00 inclusive of gst. Copyright © MPV Consulting 2004–2008. All rights reserved.